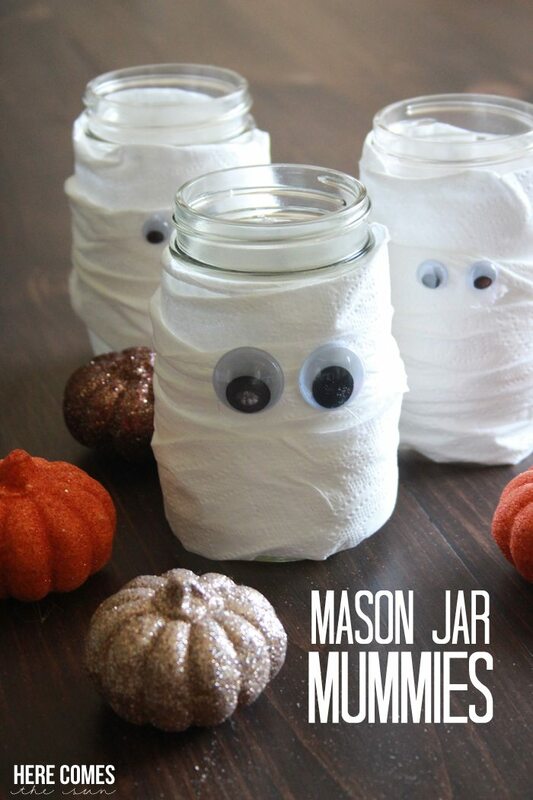 These Mason Jar Mummies take less than 15 minutes to make and are a spooky addition to your Halloween decor! Do you decorate for Halloween? Maybe you’ve decided to host a Halloween Party this year or you’re having a get-together before heading out to trick-or-treat with the kids. 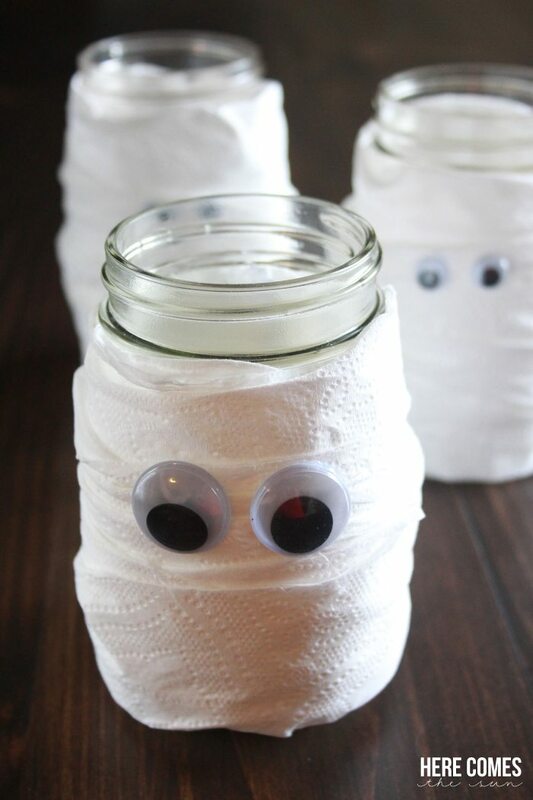 Make these Mason Jar Mummies in a matter of minutes with supplies you probably have lying around your house already. 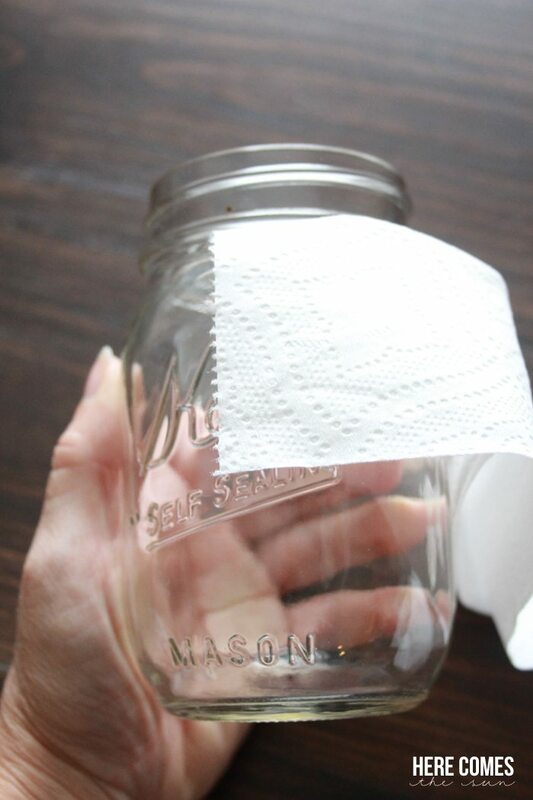 Wrap the tp around the jar moving from top to bottom. 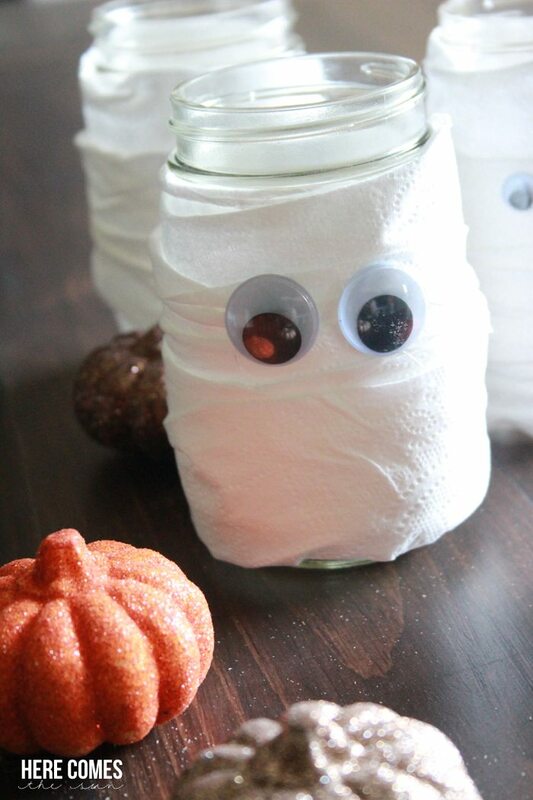 Layer the tp as you wrap to get the “mummy” look. 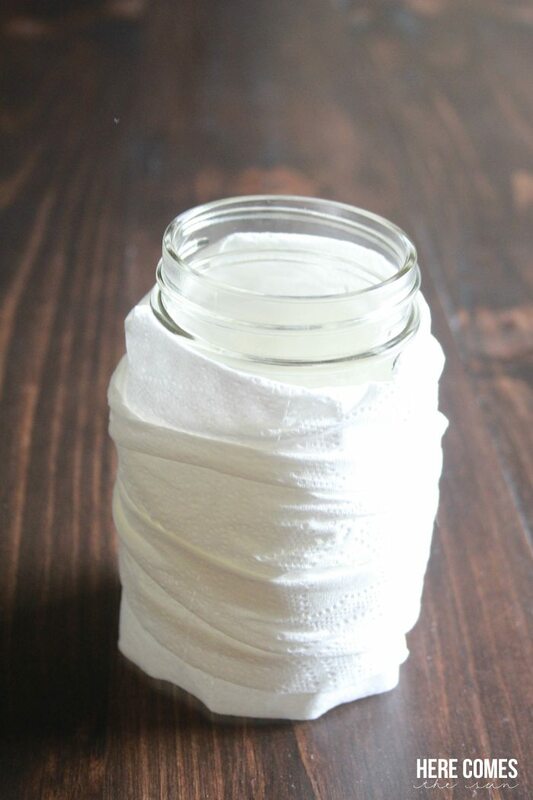 If you are using these at night, place battery powered tea lights into each mason jar for a glow. These would also be cute as table centerpieces for school parties. The kids could even make them as a craft project. Just make sure to swap the hot glue for regular glue if you are working with very young children. This post contains affiliate links. By clicking on these links, you are helping to support this blog. So cute and simple! thanks for joining! Love these! And am totally cracking up that you used TP as a craft supply!!! Love!! Thanks Carolina! I think it’s the first time that I’ve used TP for a craft 🙂 You can use gauze as well but I didn’t have any.